Country's Fuel Shortage Led to Problems for Motorists in Finding Gas as Well as Paying Much More for It, and Resulted in Theft From Cars Left Unprotected. 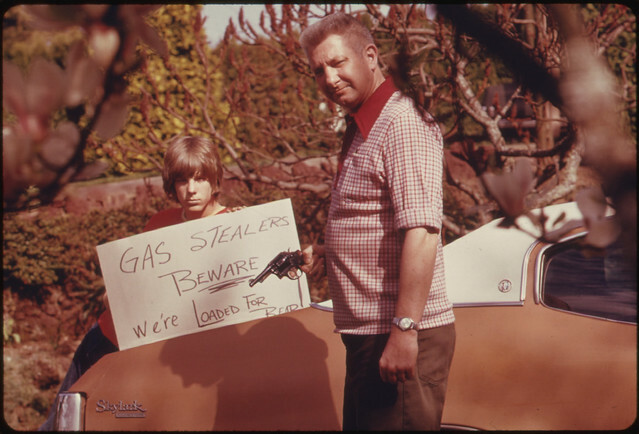 This Father and Son, Made a Sign Warning Thieves of the Possible Consequences 04/1974 | Flickr - Photo Sharing! departeg, RocketDIGITALpro, -ciaran, and 18 other people added this photo to their favorites.